After doing our Snack Challenge video in January, I have been trying to come up with another food challenge. My last meal during the January trip was at Chef Art Smith’s Homecomin’. Their Mac & Cheese was awesome and made me wonder if there was any other location at Disney World with a better Mac & Cheese. In May, I’m taking my 16-year-old daughter and a friend down to Disney World. They both were psyched to do a Mac & Cheese Challenge. I went into planning mode and started searching to find all restaurants that have Mac & Cheese. The Touring Plans’ menu database is searchable. Since Disney is not consistent, I had to search for “Mac & Cheese” or “Mac and Cheese” or “Mac N Cheese” or “Macaroni & Cheese” or “Macaroni and Cheese“. 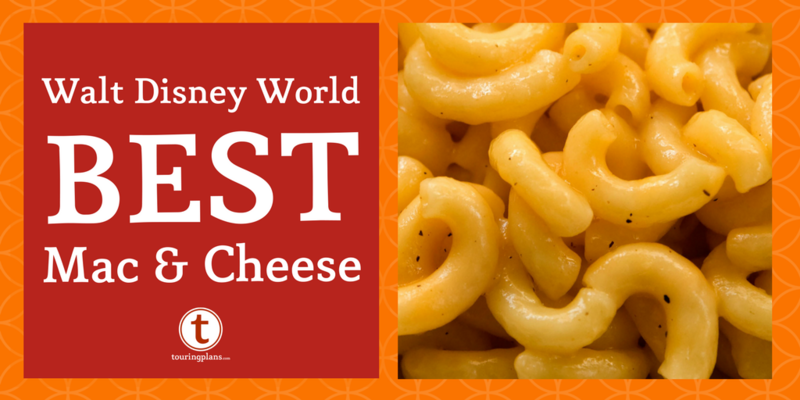 At this point, I knew that it is impossible to sample every Mac & Cheese offered at Walt Disney World. The search returned 204 menu items at 106 locations. This search did not include Gratin de Macaroni at Chefs de France or Baked Three Cheese Pasta at Eight Spoon Café. To pare down the list, I excluded room service, kids meals, Allergy friendly versions, and any specialty Mac & Cheese (Example: Yachtsman’s Truffle Mac and Cheese or Casey’s Corner’s Mac & Cheese Hot Dog). 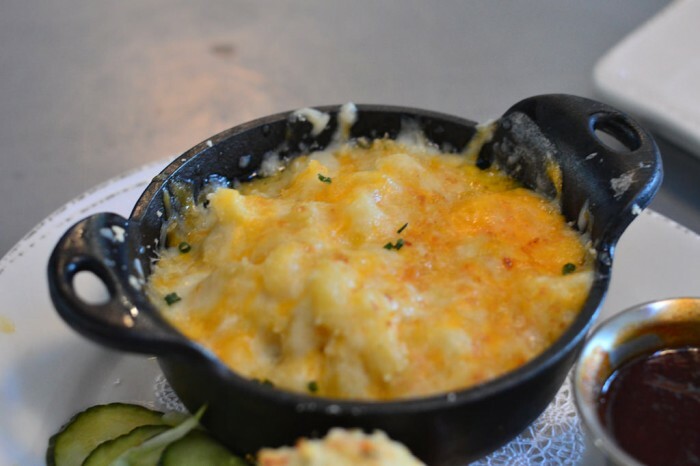 After paring down the list, there are 26 restaurants with Mac & Cheese that we want to sample. This is still too much for seven days. Please help us and choose up to 10 restaurants for us to try. If you have a clear favorite, please leave a comment. We will have a video and blog post in June with our findings. Hollywood and Vine has the best! You’ve missed Tusker House from consideration! While Homecoming is better, Tusker House is my second favorite. Garden Grill has Mac and Cheese and isn’t listed on the Menu. Their mac n cheese includes Goldfish Brand Crackers on top. I feel like you should visit this one as no one can vote on it!